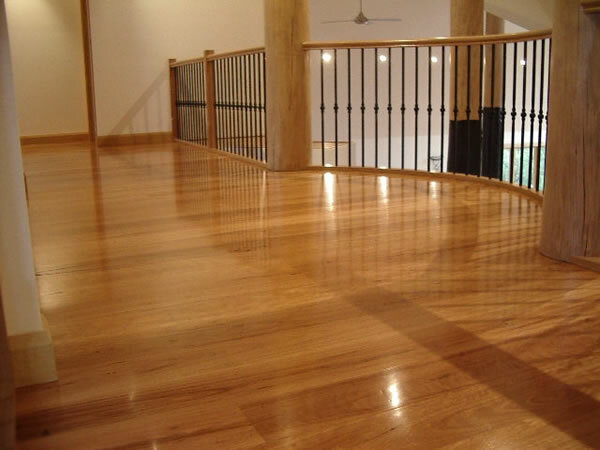 Melbourne based and AUSTRALIA’S FIRST & ONLY genuine dust free floor sanding and refinishing company. We have revolutionized the floor sanding industry and made polished timber floors a cleaner, healthier renovation option. 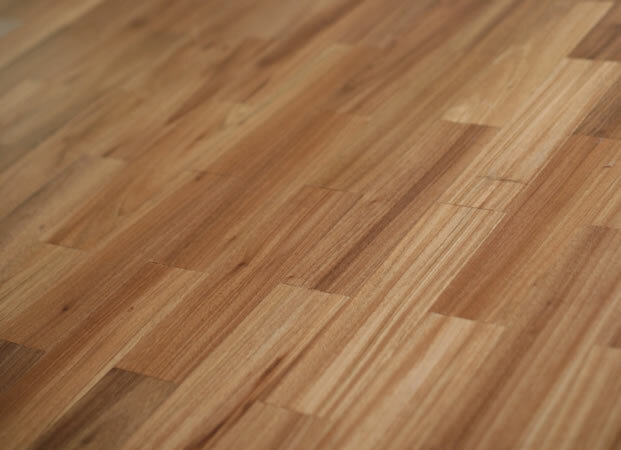 You no longer have to accept carcinogenic dust and toxic fumes when you appoint Australian Dustless Floorsanding as your timber flooring craftsmen. Repairs and installations – Solid timber flooring, engineered flooring, parquetry, cork, timber veneer – we can do it all for you. Remember, a calico dust bag or an electrical vacuum cleaner does not provide you with a DUSTLESS FLOORSANDING experience. Nothing compares to our external, self powered, industrial capacity extraction units – so please be aware of pretenders! Australian Dustless Floorsanding evacuates toxic dust via hoses outside to the Extractor – away from people, products, furniture or precious items. I am very happy with the project, it went very well. Thank you for your wonderful service & support. Best wishes for your business. The floors look fantastic, as good as new. We've had issues with some tradies leaving mess behind or creating issues from poor workmanship. It was a relief to know we've had one successful job completed with no issues. It was a pleasure dealing with you and I really do appreciate the service and workmanship. I will definitely recommend your company to others. Our thanks to Lisa for her excellent service and David, Steve and the crew who have made our floors look so beautiful. We are really happy with the results. 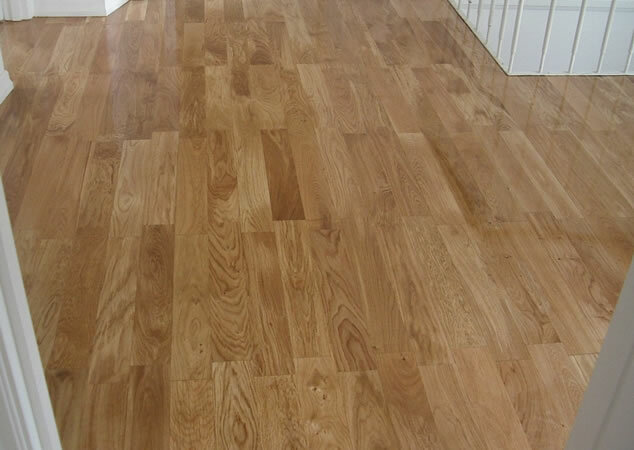 We'll also be very happy to recommend ADF to any friends looking at getting their floors done. Thank you all for a job well done! We're over the moon with our floors and can't believe the amazing transformation! What a fantastic experience. From the very first contact with Hayley in the office we knew they were going to be our choice. The professionalism of every person we dealt with is to be commended. Darren is the epitome of a man who's proud of his work and business, really knows his stuff and obviously mentored staff in the right way to do things. Steve and Karl were careful, respectful and a pleasure to have in our home. The way this business is run is "best practice" with timelines run to the minute, excellent workmanship, attention to detail and great customer service. A wonderful company who make dreams come true in such a no fuss manner. They truly are dustless! We're home from our road trip - the floors are just beautiful and there's not a speck of dust to be seen! We're delighted with the table tops that were done too. Thanks so much for being so lovely and easy to work with. I'll certainly be happy to recommend your work. Darren and his team did an outstanding job on our floor and we are so pleased with the final result. Please pass on our thanks to Lisa for organising everything in such a professional manner. All that remains now is for us to get our house back in order. Once again many thanks. The floors look fantastic, better than we thought they would. Thank you so much, we are are so happy with them. We looked at the floors and they have come up very well. Everyone I dealt with has been very competent and pleasant. Apart from dealing with furniture it has been a painless procedure, so thank you all very much. Many thanks for getting the job done with no smell and no dust. We didn't even need to move out of the house. The floor looks great and we're very happy with the result. Many thanks again to you, Darren and your efficient team. We were thrilled with the job and the absolute efficiency and professionalism of your company. I have passed your name on to all my friends. Once again our many thanks. Please pass on our thanks for a great job to Steve. Thanks also goes to you guys behind the scenes updating us etc. Karen saw the floor today and she loves it! The floors look fantastic! Please thank your guys for doing a terrific job. Also we would like to say how impressed we've been with ADF's highly organised approach, initiative, ability to stick to timelines, honesty and respect for our home. These qualities are unfortunately a rarity in the building industry and a refreshing change. We will be recommending your business to our friends without hesitation! Thanks again for a truly professional service. We are really impressed with the finished floors and the lack of mess!! We've already passed on your details to two people yesterday. Best wishes. I checked our floors for the first time today and was extremely pleased with the result. They look absolutely fantastic. Many thanks to Lisa, Darren and the rest of the crew on such a wonderful job. It's truly been a pleasure doing business with you and I have already recommended you to my friends. We last had our Tas Oak floors sanded and coated 15 yrs ago and the contrast in experiences could not be greater. No DUST and a lovely water based Matt finish. The attention to detail for the complete look was just terrific. Thank you all, both the Office & the Sanding onsite Teams. We are happy to recommend your business - keep up the good work. With many thanks. I just wanted to say that I am really happy with the job and how the floor looks. I am glad we took the plunge and had it done. The Guys who worked on it were all very pleasant and polite. The end result has exceeded my expectations. No more dog hair embedded in the carpet!! Yay. The floor is so beautiful and more than I ever expected. Even though your company is called Dustless Floorsanding, I was still a bit nervous because all the walls and ceilings were freshly painted and the adjoining carpets were new. Well, I didnt have to be :). Steve and Aaron were so polite. Thank you Darren & Lisa. I will definitely recommend you to everyone who is interested. Thank you & your team so much for making my Jarrah floors new again! Actually better than new! We had gloss poly which showed up damage. I chose the Satin waterbased and it is great. With the ghosting in the old orange coloured floor, some people thought my floor was dirty and muddy. They are now back to a beautiful rich red again. I don’t want to put furniture back as I love them so much. Your Sanding team was very professional: always on time, extremely clean, and took away rubbish. They were courteous & a pleasure to meet. My young children & us moved back in but the coating didn’t smell. It meant we didn’t have to deal with fumes which is great. Also there was no DUST! I would of noticed if there was any upstairs in our other open plan area – NONE! Office staff were always happy & prompt to return my call. The timeline for the job was exactly what happened. I wouldn’t hesitate to recommend you to family or friends. A job well done. We are all very happy with the result of the sanding & sealing of our floors. Thanks to the Boys they did a very good professional job. If we ever need another sanding job we’ll come to you and certainly recommend your service to our friends. Please thank Darren and his crew for another fabulous job. Everything went per your schedule and the end result is absolutely lovely. We will never hesitate to recommend ADF. All the best in 2017. The floors look great thank you. And no dust – what a bonus! The Real Estate agent loves the floors too. Pity I’m selling. Thanks again for a wonderful job. The floors look really good. We are very happy with the finish. We have been telling anyone who’s willing to listen that it was truly dust free. Your team were very easy to work with guiding us through the process which made our life so much easier. Regards and thanks again. We'd like to thank you and the team for the work completed on our floor. WOW, it looks so good - just like a new floor but better. When we decided to renovate there was a hesitation before each stage. Will it work, did I make the right choice and will the Tradesman be able to deliver? Well, all credit to your team - the final result exceeded my expectations. Thank you - if you need an recommendation, don't hesitate to ask. Regards to all. Our floors look amazing and we are very happy with the quality of the work done. It has been a pleasure interacting with your company, and would be very happy to recommend your services. I have finally seen the floorboards this morning and they look spectacular. Thank your team for all their great work. Everything looks absolutely fabulous. I really appreciate you organising the extra work and repairs and for keeping the project moving for us. I hope everybody realises what a fantastic job you do behind the scenes – your professional manner and attention to detail also made me confident to go with ADF. Will definitely recommend your company to other friends. Thanks so much. Thanks Lisa the floors are wonderful. We are so happy and there is no dust – just amazing. I will certainly recommend you to friends and family. Thank you again for a fantastic job on our floors. You have been a pleasure to deal with, professional in your approach, your boys were great and we are delighted with the finished result. I arrived home today from the USA and wanted to drop you a line to say how impressed I am with all the work undertaken while we were away. The finished floor is EXACTLY as Darren explained to us, and all the arrangements we made regarding access to the house were followed to a tee. It is such a pleasure (and a relief) to be involved with such professionals. I would not hesitate to recommend ADF. Thanks again. ADF have done an excellent job on our flooring project. 40 sqm of new Blackbutt laid, sanded and coated with Extra Matt, another 40 sqm of old Baltic resanded and coated, two existing glossy Bedrooms recoated with Extra Matt to match the other work. We are very pleased with the outcome. This 130 yr old home has a new lease on life and looks sharp after the great work from the dustless men. And they really are dustless! I would certainly recommend Lisa, Darren and their professional crew to anyone who wants quality work done. I want to thank you for the fantastic service you and your team has provided. We are absolutely stunned with the end result and couldn’t be happier! We look forward to contacting you in the near future when the rest of our house is renovated and ready for beautiful floors! The floors have come up so well and we are really happy with the job. I’ve lost count of how many neighbours have asked to have a look at the floors. The first question asked is, “is it really dust free?” I reassure them it definitely is the best way to go and recommend you highly. I appreciated your follow up regarding the concerns we had at the end of the second job and assisting in solutions. Also we’ve appreciated all your help and support during what has been a busy and unsettling time, thank you so much. Please pass on my thanks to Darren and his team. As I told him, your professionalism is the key to the success of the business. Hopefully, I shall be in touch down the track for the next house. Fantastic result and sooo dust free! Very impressive. You’ve all been a pleasure to deal with – friendly, professional. Thanks! Thank you for a wonderful job on the floor! I walked on it for the first time this morning and it looks perfect! This is the third time I’ve been through a floorsanding/coating experience and by far the best indeed. Please pass on our thanks and admiration to Darren and the team as they have again demonstrated their skills in executing a difficult job in a totally professional manner. The floor looks amazing again and I’m sure will always remain a real feature of the house. Many Thanks. Just wanted to say hello and tell you just how much we love our floorboards even nearly a year later! We have done more renovating with sleepless nights, which ALWAYS brings to our mind how stressless and organised you guys were with our job. Keep up the good work!!! See you soon with our next project. Many thanks for a wonderful job with our floor boards, we are absolutely delighted. It is a credit to you that the boys did such a great job with care and concern with regard to our home. I am more than happy to recommend your company to anyone who needs their floors done. Also, the dustless system makes the job a lot less stressful and the products you use are less harmful to us and the environment. Thank you to you, Darren and all the workers for the lovely floor polishing job you have done for my home. It has made a big difference to the look, feel and comfort to the beautiful home we cherish. Many thanks once again. Best wishes to you and your company. The floor looks fabulous. Thanks for a great job. There are some “character” areas on the old floor as we knew and careful placement of rugs will do the trick. I am completely happy with the service and the quality of the job. I just wanted to say thanks for everything. The floors look great! The guys did a great job of blending in the old with the new and everything was done without any drama. I was pleasantly surprised by the absolute lack of dust. Good work! I would definitely recommend your business to family and friends. The floors look amazing – we are so happy. Thank you to you and your team, they were very professional throughout the process. The dates and times set did not change and everything that was promised was delivered. We particularly liked the “dustless” element and we have been able to move in without having to do a major clean, which has been great. Again, THANK YOU! We have been spreading the good word about your company to everyone who asks. Many thanks for your help and the quality work of the guys. Also, your personal customer service skills are some of the best I have seen. Nice work. I just wanted to drop you a short note to let you know how happy we are with our new floors! They look absolutely fantastic, and ADF did a magnificent job. I was especially impressed with how clean the house was when we moved back in…it was truly spotless. May I reiterate that your company was expedient, punctual, reliable and thoroughly professional in all respects. “Dustless” does mean exactly that. What a joy! The matt finish was exactly the correct choice. Overall, we are delighted customers and I have been gladly “spreading the news”. Thank you so much not only for doing a great job on the floor but you, Darren and Co have been fabulous to deal with right from the first phone call. I will be shouting your praises! The floor looks beautiful thank you – the guys were great, we hardly knew they’d been. Such a great system – I have been raving about it to people. Thanks again. We are so pleased with the finish. Your guys did a brilliant job. From a tradesman that takes pride in his work I was so impressed with the professionalism of your staff. Everything went to plan. Many thanks for the excellent communication, doing what you said you would do, being on time, and having a great team of guys doing the work who were always helpful and professional. Thanks so much ADF. The boys did a beautiful job! Staining it was definitely the right decision too, so thanks for helping us choose colours. We’re still walking around admiring our lovely floors. The floor looks fantastic. Again, we really appreciate the way you did a beautiful job without leaving a trace that you’d been here – apart from lovely parquetry floors. We’ll happily recommend you to other people and give you a call when the floors at our new place need doing! We are back in the house and the floors look absolutely fabulous. The colour is great, and it really is a dustless process. We are so pleased with the finish and how clean the house was left. Once again, thank you very much for such a great job. Thank you for the professional advice, expert work and helpful approach – and a finished floor and stairs we are happy with! We would have no hesitation in recommending ADF to anyone – it really is dustless and the service cannot be faulted. Every arrangement happened on time with phone call confirmation – it made us feel very confident about the whole process. Best wishes! Just wanted to say a big thank you to you all for an amazing job.The floors look beautiful and the whole process, as before, went extremely smoothly. We are blown away by the floor and the dustless is awesome! I was singing your praises to a friend who is interested in restoring his floorboards and given him your details. Thanks heaps Lisa. Wishing you and Darren all the best. We pass on our thanks to Darren and the staff from ADF that worked on our floor. They did a wonderful job and we are thrilled with the work. When we have recovered from this extensive renovation we will be in touch to arrange the next job to be sanded. Has been a pleasure dealing with you – a very professional team! Hi ADF, we are now the proud owners of the best polished floor in Templestowe! The floor has a great smooth and shiny finish. Our sincerest thanks for the professional manner in which you addressed our concern. ADF will be a strong recommendation to anyone we hear is in need of a floor rejuvenation. Thanks again and best wishes in the future. PS. I will gladly be a reference for you any time. Popped over this afternoon to look through the window and you guys have done it again….just perfect! I’ve given your details along with the highest praise to several work colleagues. Thanks again and just far too easy and simply a great job! Thank you for a beautiful job. Darren and the Lads were a pleasure to have working in our home and the finished job is magnificent. We were warned about the diabolical dust but our sanding experience was perfect. Dustless is the word! You’d be mad not to use it! We are thrilled with the look of the floor – it certainly makes a big difference to the feel of the house. We are so impressed with your tradesmen and your promise of turning up on time and no fuss or clean up afterwards! So thank you! We are very happy with the floor – it looks great and the repairs Darren helped us with are perfect. Your dustless option certainly is dustless. A very effective beast!! I have already passed on your details to other people and our builder. Thanks again for all your assistance along the way. 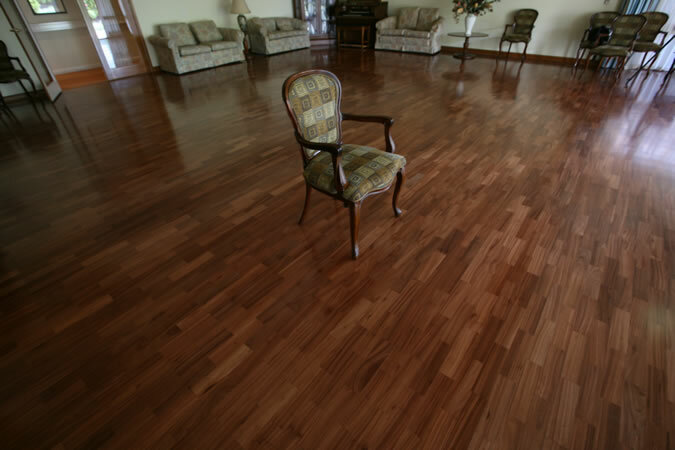 You have been more than helpful through our renovation and subsequent resand of our timber floors. The end result is very pleasing and we are enjoying them tremendously. Thank you again for the personal service during the construction process as we really do appreciate it. Copyright © 2015. 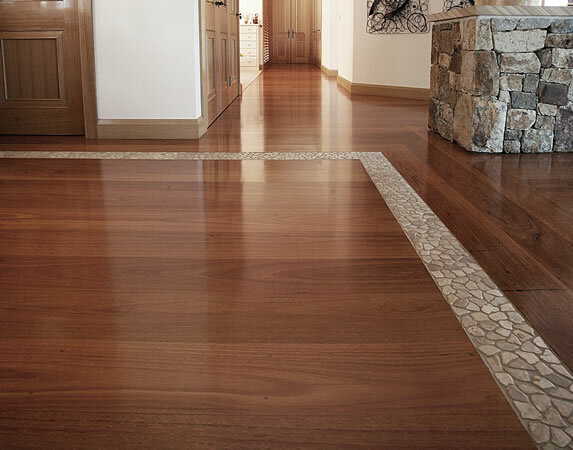 Australian Dustless Floorsanding Pty Ltd.